Be the first to live in this (NEVER LIVED IN) waterfront town home that offers Key West style architecture with direct boating access to the blue waters of the Gulf of Mexico within gated community. 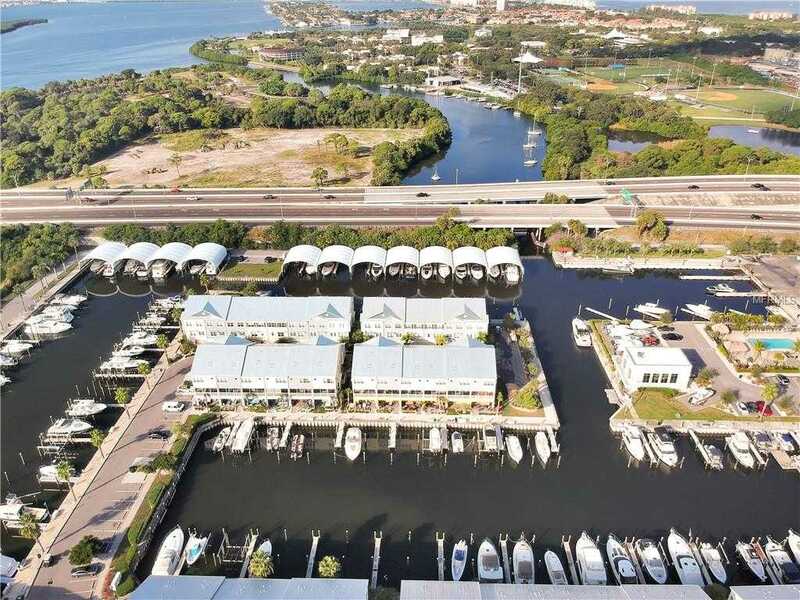 13; Located within The Cove at Loggerhead Marina a full service marina. (Don’t forget about the boat club!) This 4-bedroom, 2.5 bathroom home, 2 car tandem lock-up garage and an in-home elevator that goes to the top floor! The bedrooms are split plan where the master bedroom is tucked away and very private. Built in 2016 boasts high ceilings with a very open feel is elegant, and positioned on the water. The kitchen is well appointed with stainless steel appliances, granite counter tops, under mount sink, subway tile back splash, crown molding, wood flooring, self closing drawers. The owner wanted this home to have a dream home, so they went above and beyond and added, tinted windows, crown molding, elevator, wood floors, subway tile, and so much more. 13; This three-level home with elevator sits within a charming street front, dotted with tropical palms and flowering gardens. 13; Lined with timber floors throughout, it boasts a large great room with a covered balcony looking across the water. 13; Close to downtown,bus route. 13; 13; Private and secure, this home is set within a gated community, with exclusive access to the large saltwater pool, entertainment areas and The Captain 8217;s Lounge which is open to residents and the marina 8217;s boat owners. 13; Don’t forget about the preserve, where there is a 1/4 mile long walking trail. Please, send me more information on this property: MLS# U8023932 – $439,000 – 6073 Moorings Dr S, St Petersburg, FL 33712. I would like to schedule a showing appointment for this property: MLS# U8023932 – $439,000 – 6073 Moorings Dr S, St Petersburg, FL 33712.